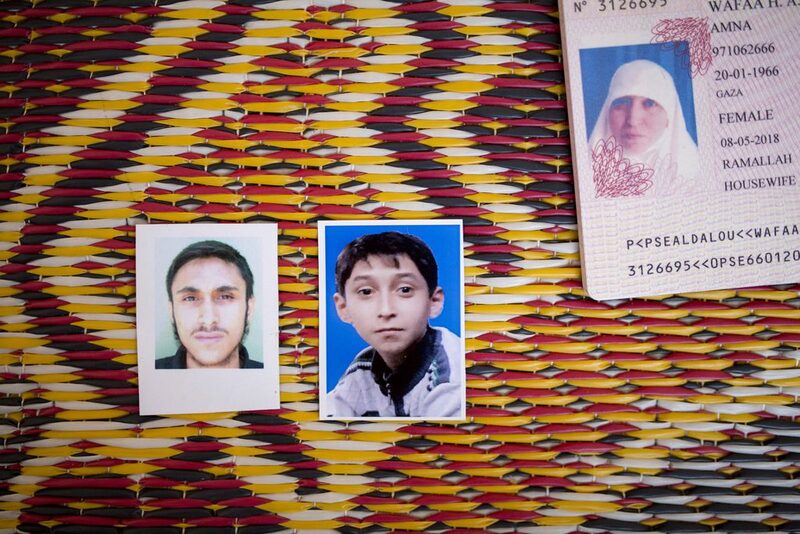 Photo: Photos of the three members of the al-Dalu family who were killed: Ahmed, Mustafa and their mother Wafaa’. Israeli warplanes fired six missiles at the building, which belonged to Rabah al-Dalu (51). Israel claimed that Mohammed Deif, commander of the al-Qassam Brigades, was the target. Deif’s wife and two children were killed in the attack. 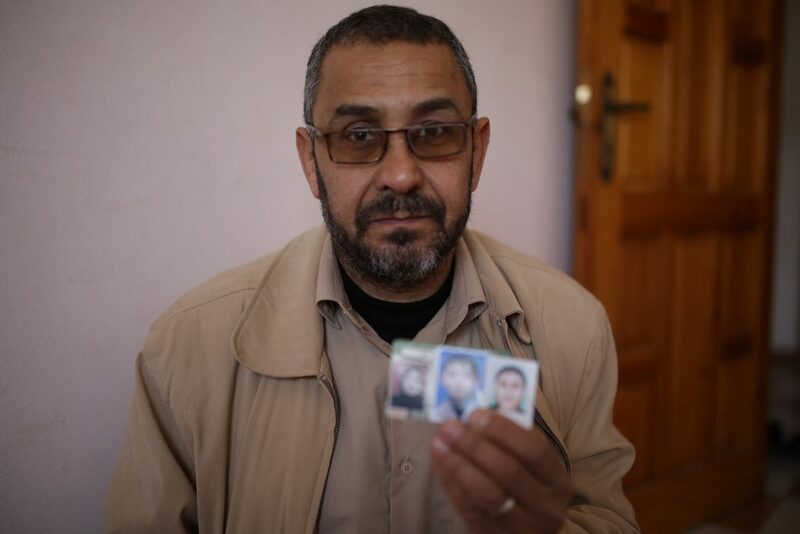 Photo: Rabah holding photos of his killed wife and two sons. “There is no justice. The world supports Israel. If there was justice, we would have our own state and live in peace. But we have to keep going. We all die for one of two reasons: from bombardment or sickness. We accept our destiny,” says Rabah, who was married for 29 years to his wife, Wafaa’. (2 and a half years, daughter of Wedad and Mohammed Deif, pulled out of the rubble two days after the attack).